Previously unreleased late 1950's recordings of the legendary Stoneman Family group - The Bluegrass Champs, live from the 'Don Owens TV Jamboree'! This recording is as much about rockabilly, 50's country and blues as it is about bluegrass—more a hybrid by a young, but seasoned, combo in changing musical times. 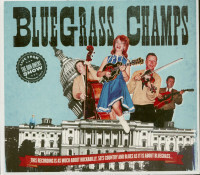 The Bluegrass Champs held their own or even bested other Washington D.C. talents like Roy Clark, Patsy Cline. Link Wray and Charlie Daniels. They had spent most all of their lives in music and in the late 1950's were soaking up all the new sounds without denying airy mountain roots. 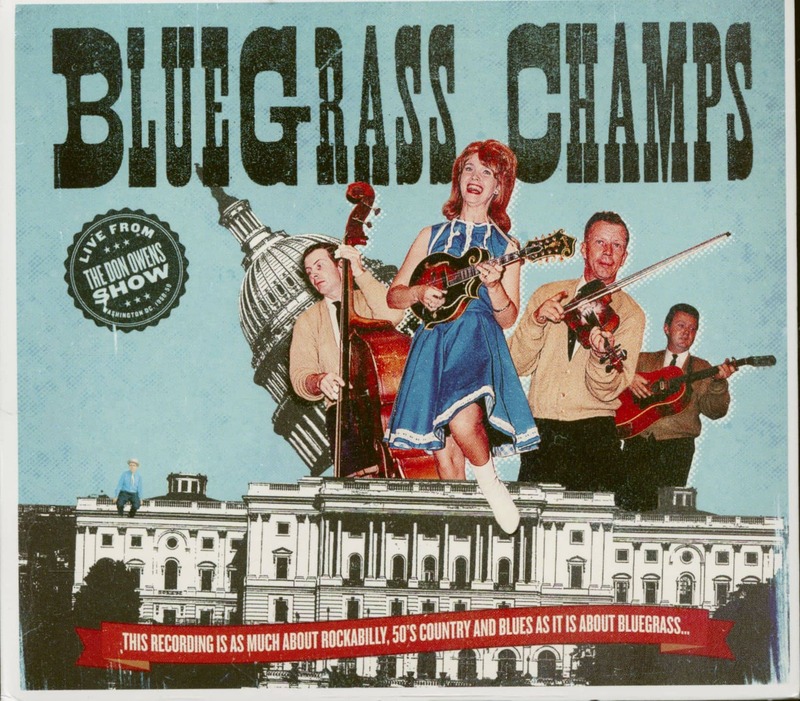 Thousands of people from rural America had flooded into Washington D.C. during World War II seeking federal blue collar lobs and they brought with them a diverse mixture of country, bluegrass. blues and jazz. A.M. radio stations, television and packed honky tanks helped propel it all. Musically, it was a great time to be in the nation's capital. Pop Stoneman and his ever expanding family were amongst the first to hit the area fleeing joblessness, debt. and the depression. Pop was already a veteran recording artist having hit it big with his song "The Sinking of the Titanic" in 1924 and his wife and all thirteen children played an instrument and sang. Four of these kids became the core of the Bluegrass Champs and by 1958 were master musicians. Scott Stoneman "single-handedly dragged country fiddle into the 20th century," according to music historian Charles Wolfe. In a radio interview. Jerry Garcia stated, "When I needed inspiration I went down and listened to Scott Stoneman solo." Jimmy Stoneman's upright bass playing kept the thunderous sound tight as a drum with unerring competence. Donna Stoneman's bright, chirping mandolin style and dancing stage presence upstaged all her male counterparts and even Patsy Cline in her most risque outfit. Brain Stoneman's membership in the group roughly corresponds to her time as Jimmy's wife which, unfortunately, was brief. She sang with great heart and excelled on dobre lack Cooke's tenure with the band was also brief but he was already a respected veteran bluegrasser who went on to he a mainstay with the Stanley Brothers. As houseband on the Don Owens Show, they were otter called upon to back guest singers and players. Luke Gordon, who had a big local jukebox hit with "Goin' Crazy" in 1955 was one of Don's favorites. Don tried valiantly to get Luke signed to the Sun label in Memphis but Jack Clements considered him too close to Hank William's singing style—as if that could be a detriment. I suspect his version of "Dark Hollow" was also an inspiration to a young Jerry Garcia. Jimmy Haney was a normally tepid fellow who was happy to sing gospel songs accompanied by a lone church organ. How the Bluegrass Champs got him to sing the moaning, sexually frustrated "Are You Teasing Me" is anyone's guess. None of these recordings would have happened except for the heroic efforts of two great music lovers. Don Owens, who loved gut-bucket country and bluegrass music, hailed from New York City(!). He put together this country's first bluegrass festival ever, hosted regular T.V. and radio shows and managed to get the best performances from musicians through a mixture of wit, warmth and his obvious love of the music. He died in 1963 in a horrible car accident in northern Virginia. He could and would have had a bright future in broadcasting on a national level. I met Leon Itegarise (Keg'-a-rice) at his house in Baltimore with the idea of buying his 150,000 LP record collection. Leon was a hoarder and I had to walk sideways to gain access to the three rooms it was still safe to enter. In one room were stacks of reel to reel tapes and I found one labelled "Johnny Cash Live at New River Ranch-1962." Leon was happy to play it for me and I was floored by the sound quality and performance. Leon used to lug a suitcase sized tape recorder and omnidirectional microphone to shows and was somehow able to set up his equipment on stage. To record the Bluegrass Champs on the Don Owens Show, Leon went into the innards of a T.V. set and wired onto something called the cathoid follower thus bypassing the T.V. 's cheap speakers. P.S. I met Bill Carlisle on my first visit to Nashville many years ago. 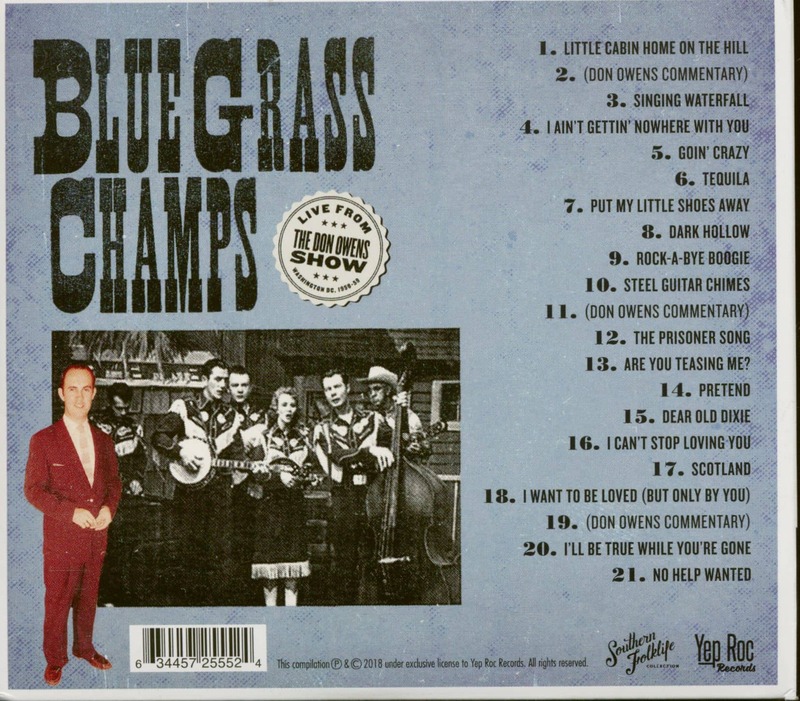 No one lit up a room like Bill did and I put his "No Help Wanted" at the end of this collection because it reflects the same pure joy of performance that the Bluegrass Champs always had. Bill was one of a kind and I would love to someday work on a box set or a least a 'best of collection dedicated to him. Customer evaluation for "Live Fom The Don Owens Show (CD)"